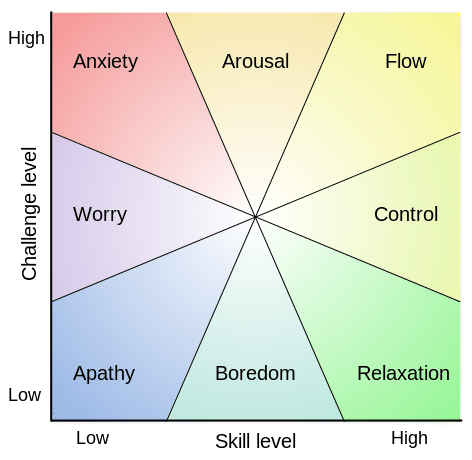 We have been exploring this 18 minute video by Mihaly Csikszentmihalyi (pronounced ‘chick-SENT-me-high) that introduces the concept of flow. Flow is understood to be an important ingredient to overall levels of happiness. It is the creative moment when you are completely involved in an activity for its own sake. 1. Being completely involved in what they are doing (focused and concentrated). 2. A sense of ecstasy – of being outside everyday reality. (See Could There Be A Link Between Being In The Flow And Being Happy?). 3. Great inner clarity – you know exactly what needs to be done from one moment to the other and you have immediate feedback. 4. A sense of capability – you know that what you need to do is possible to do, even though difficult. It is doable, and your skills are adequate to the task. 5. A sense of serenity – so there are no worries about oneself along with a feeling of growing beyond the boundaries of the ego. That means you literally forget yourself and you feel part of something larger. 6. Timelessness – your sense of time disappears. You are so thoroughly focused on the present that hours seem to pass by in minutes. 7. Intrinsic motivation – whatever produces flow becomes its own reward. What you are doing becomes worth doing for its own sake. Using this model Csikszentmihalyi and his team of researchers have been able to precisely study the everyday life of people going about their day. By giving them electronic pagers that go off 10 times a day, this enables the subjects to report what they are doing, how they are feeling, where they are and what they are thinking about. From this they can measure two simple factors – how much challenge they are experiencing at that moment and the amount of skill they feel they have at that moment. This is represented in the diagram shown. The centre of the diagram is an average that can be established for any one individual. This is the mean level of challenge and skill, which is unique to any one person. So by knowing where this average set point is it is possible apparently to be able to predict fairly accurately when you will be in flow. Flow will be when your challenges are higher than average and also when your skills are higher than average. What it is that you are exactly doing at the time, will vary from person to person, but for every person that flow channel will be when you are doing what you really like to do. Flow is generally reported when a person is doing his or her favourite activity – for example when gardening, listening to music, cooking a good meal. It can also occur when driving or talking to friends or when at work (if work is what provides flow for you. Also see Do You Live To Work Or Work To Live?). Next to the flow section are the sections of arousal and control (see the diagram). Both are also good places to be. In arousal your skills are not quite as high as they should be, but you can move into flow by just developing a little more skill. The arousal area is where most people learn from as that is where they are pushed beyond their comfort zone. So to enter flow they have to develop greater skills. Control is also another good place to be, because it is there that although you feel comfortable, you do not feel particularly challenged. So to enter flow from control you have to raise the level of challenge. In summary, arousal and control are ideal and complementary areas from which flow is easy to go into. The remaining 5 combinations of challenge and skill become progressively less optimal. Of these relaxation continues to be beneficial. However, boredom begins to be very aversive and apathy is very negative. In apathy you are not using your skills and there is no challenge. Unfortunately a lot of people’s life experience is in apathy. According to Csikszentmihalyi, the single largest contributor to apathy is watching television. After that it is sitting in the bathroom! The researchers found that when watching television, people are only 6-7% of the time in flow, and even that is only when you choose a programme you really want to watch and you get feedback from it. 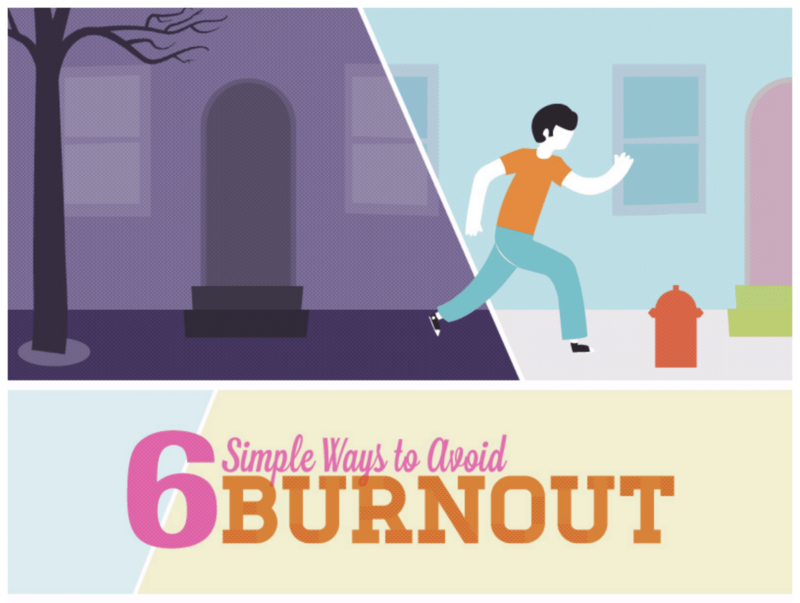 Worry and anxiety can be particularly toxic as in these areas your skill level is low and the challenge you are facing becomes progressively higher. Left unchecked you can easily fall into a stressful situation. (See How Do I Cope With Stress In My Life Part 1, to Part 5). What are your experiences of being in flow and the impact on your own happiness? PrevPreviousCould there be a link between being in the flow and being happy?